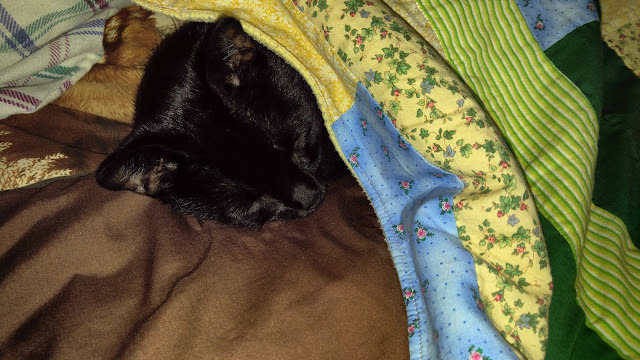 With all this cold rainy weather happening in this area it has been easy to cuddle up and sleep nearly all day and all night. It has also meant that we cannot go on the kayak toy during the weekends which makes one grumpy kitty. So sleeping passes the time well. After My Sunday selfie I had the human put up some pictures of what I have done almost all week. 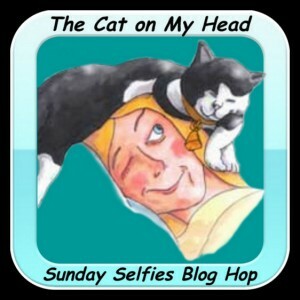 Thank you The Cat on My head for letting me blog hop with you. 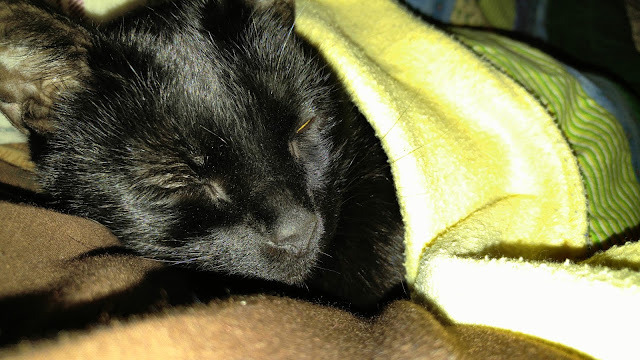 Shadow, you look furry comfy there!! Best to keep warm when it's cold outside!! I have been doing the same as you because our weather is wet and windy too. Looks like you are keeping warm. 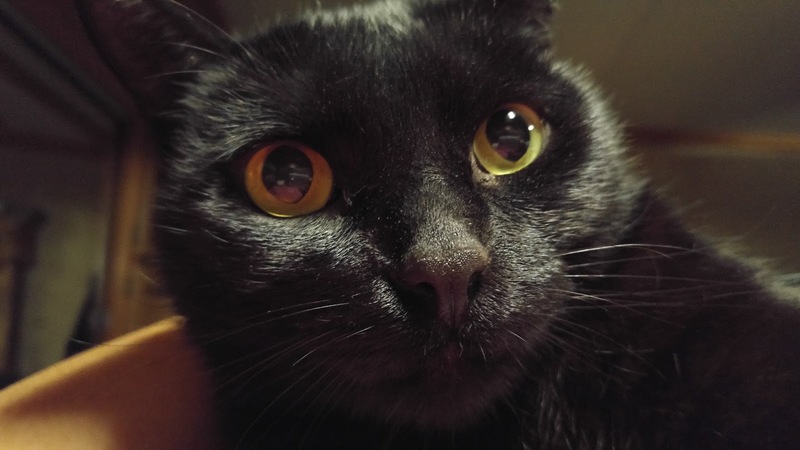 Shadow, you look so beautiful in your selfie! You snoozy pics look so cozy! OOoh you look so cosy!! I am sorry your kayaking days are a bit limited, but spring will bring warmth again soon! What a pawsome selfie, Shadow! Enjoy your nap.